How many times have travelers been annoyed to hear the sanctimonious words of flight attendants reminding us how to use a seat belt? Rather than a simple “please fasten your seat belt,” the FAA and airlines insist on giving a detailed example of how to insert the tip into the seatbelt latch and pull the excess fabric to tighten the belt. Apparently there are still people in the world who have never fastened a seat belt in their lives, and need instruction on how to operate the belt. In California we are bombarded daily with “Click it or Ticket” billboards and radio campaigns reminding us the “police are on the lookout” for those who are not wearing seatbelts, talking on cell phones while driving, texting while driving, and driving after consuming massive amounts of drugs or alcohol. Everybody knows right from wrong, and what is a violation. However the message is still thrown in the face of every person hitting the roads or commercial airlines as if it is a revelation. OK, the same message has been pushed forth into the Internet community for more than 10 years. Everybody who has been through a basic indoctrination of the internet knows that this IPv6-thingy is important, will impact our lives, and is not going to fade away any time soon. And just like the message on wearing seatbelts and not texting while driving, most of the Internet community still has not accepted the fact if they violate the law (or ignore the message of IPv4 exhaustion), they will either get a professional ticket, or at a worst case go sailing through their Internet windshield (“windscreen” for any Englanders in the audience) and end up in a bloody connectivity pulp. NANOG 49 is getting ready to kick off their summer meeting in San Francisco, has a whopping 3 named sessions out of around 40 dedicated to the IPv6 topic. One is the obligatory Google presentation reminding everybody how smart they are, and the other two are fairly important topics giving an IPv6 adoption update from Renesys, and a discussion from Comcast on driving IPv6 into the home through the cable TV network. Of course Hurricane Electric and the patron saint of IPv6 evangelism, Martin Levy, will be hanging around the halls providing thought leadership. Of note, Hurricane Electric is one of the few companies actually engaged in bringing the IPv6 message to the public, with one kind of cool tool called their IPv6 Certification process. This is a semi-serious, semi-fun Pre-IPv6 101 course intended to stimulate users to think more about IPv6 and accept the undeniable fact it is an important part of our future. NANOG (the North American Network Operators Group) meets three times a year. In the early days, much like Internet Society meetings, it was a place for engineers and thought leaders to indulge in a fellowship of mindshare and development. There is still a glimmer of cooperation and desire for many of the old timers to lead masses through complicated development of the Internet and Internet deployments, however much like the “Inet” conferences of the past, it is now spoken more in terms of parties and sales opportunities than creating the next generation of Internet. Sure, somebody will probably pull the plug on IPv4 wireless access at some point during the conference to show not only how clever they are, but also that Microsoft XP still does not eloquently handle IPv6 on demand – however the message is not necessarily getting to the people who need to know how to fasten their IPv6 seatbelt. Those networks, and people at NANOG representing those networks, who have not already adopted IPv6 will soon succumb to natural selection. 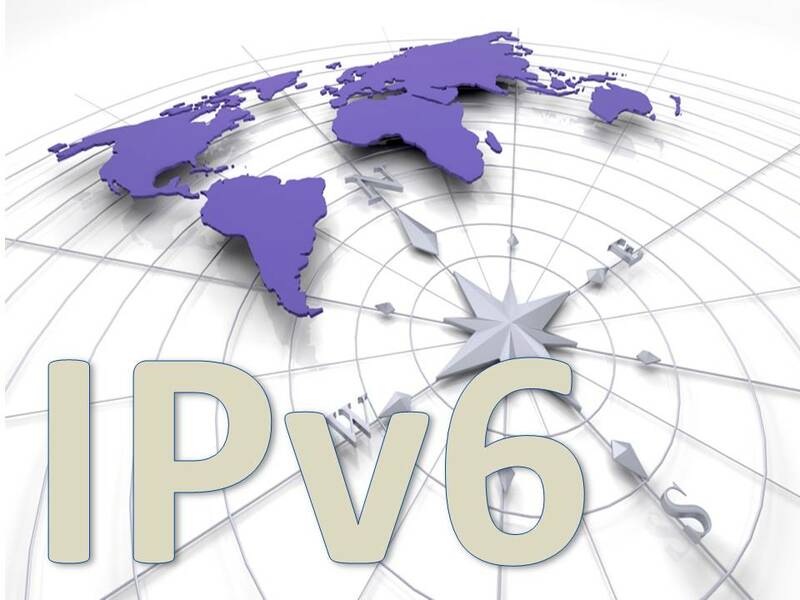 American companies such as Verizon have quietly rebuilt their networks to accommodate IPv6, and in fact are wiring everything in their network to further accommodate providing an IPv6 address to everything they touch. Power companies are implementing IPv6 in the smart grid architectures being deployed – and eventually everything down to your refrigerator will be IPv6-enabled. Some smart people are out there. The IPv6 thought leadership audience has to be the remaining IT managers in every enterprise in the United States (and of course around the rest of the world…), application developers, all the internet access network providers – basically everybody in the Internet “food chain” up to the end user. No, I do not want my 80 year old mother being responsible for understanding IPv6 address allocation and management. I want the Internet and Internet applications to be just as transparent to her in the future as it is today. She wants to see my Yorkie over Skype without understanding the network infrastructure bringing her the image – and most of the user world deserves the same insulation from the ones and zeros of network technology. The 500 people attending a NANOG are a very small audience, and an audience that is just as callous to the topic as I am to an airline safety demonstration, and will not be the audience getting the best use of IPv6 presentations and thought leadership. 10% is a very small number. As the IPv4 address space is further depleted, and if companies and organizations have never prepared their networks for IPv6, the result for American companies will not be pretty. Unable to collaborate on an application level with their peers around the world (yes, as you might expect, those pesky Europeans and Asians are doing everything possible to take a leadership role in front of the Americans with IPv6 – or maybe they are just more fearful of the potential impact of running short on IPv4 address space), American companies will suffer. All manufacturing machinery will be network-enabled (yes, with IPv6 addresses), ERP, CRM, OSS, BSS – basically everything we build and sell stuff with, requires IPv6. Good luck Martin Levy. Americans need you to continue spreading the word. Not only blasting it through a loudspeaker, but in the creative manner provided by Hurricane Electric’s IPv6 Academy and Certification process. Fun, but serious. Us IT guys have a lot of work to do in the next couple years. IPv6, building the 4th Utility, developing cloud exchanges, developing greener data centers. Yes, it is a good time for Information and Communications Technology professionals.